Want more information about volunteering? Volunteer Your Funds, Food or Time! If you need groceries, check out our partner no cost grocery programs and also our public food programs. Heart & Hand is dedicated to improving the lives of at risk youth and their families. Through high quality out of school time programming, we empower all children and families with the skills, information, and resources they need to create and realize their dreams. By investing in consistent and compassionate support for our children and families, we strive to disrupt the cycle of poverty and close the opportunity gap. Heart & Hand serves 100, low-income youth in Denver’s 5 Points neighborhood. What makes Heart & Hand unique is our model of long term, intensive support. Our students come day after day, year after year, because they are known and nurtured in the Heart & Hand family. Daily programming ensures students develop the resources that research shows are critical for long term success: relationships with trusted adults, supportive peer networks, a safe after school environment, academic support, empowerment programming, and social-emotional skill building. 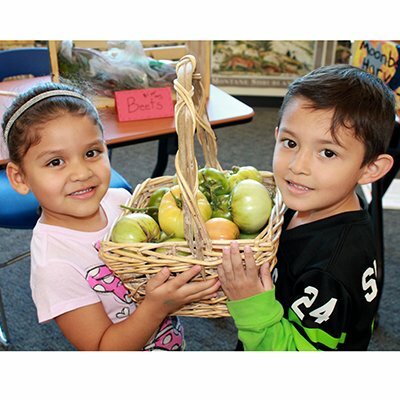 Heart & Hand families are grateful to Denver Food Rescue for the supply of fresh fruits and vegetables we receive on Wednesdays at our after school program site. This nutritious bounty is especially valuable to our many food insecure families. 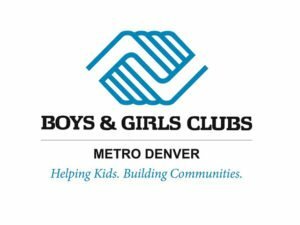 As one of the most well-known youth organizations in the country, Boys & Girls Clubs provide young people with The Cope Club serves nearly 1,000 members each year and participates in a variety of community events. The Club also features the Teen Center equipped with computer stations, books and research resources, and serves as a quiet place for teens to concentrate on their studies and have fun. 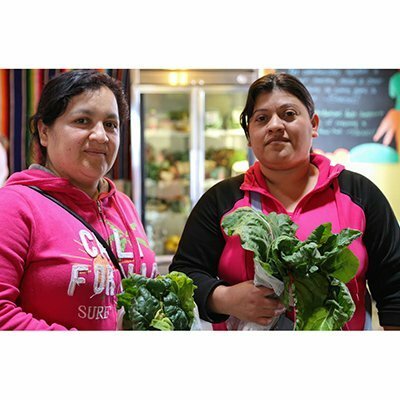 They have had a No Cost Grocery Program since 2015. As one of the most well-known youth organizations in the country, Boys & Girls Clubs provide young people with opportunities to engage in programs that help them achieve academic success, take charge of their health by building healthy habits that will stick with them throughout their lives, and foster the skills they need to become leaders in their communities.The Vickers Boys & Girls Club provides services to young people in the area, providing a place from them to learn, grow and succeed in life. 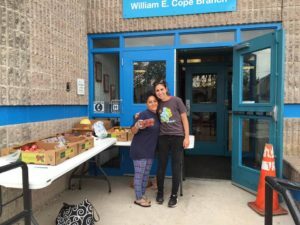 They have had a No Cost Grocery Program set up for youth and their families who participate in the program since September of 2014. A major proving ground for all things early childhood, Clayton Early Learning is Colorado’s leading catalyst in providing early care and education, and collaborating with others to improve these important services. Our work focuses on ensuring optimal development during the critical birth-to-5 period for all children, especially those of limited opportunities. We succeed in closing learning gaps of disadvantaged children through a powerful model unique to Clayton Early Learning that harnesses the synergy of four dynamic initiatives – research, practice, training, and advocacy. 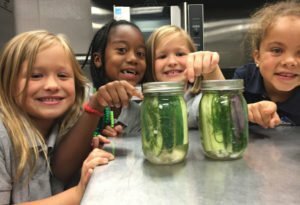 Specifically, the Food for Families committee at Clayton Early Learning was created as a result of high levels of food insecurity among families we serve. Our committee aims to provide nutritious food for all families and staff, as well as nutrition education and cooking skills. 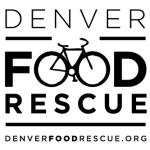 Our partnership with Denver Food Rescue allows staff and families to access healthy fruits and vegetables, to trade new recipes with others, and encourages them to try new foods! The GrowHaus is a nonprofit indoor farm, marketplace and educational center in Denver’s Elyria-Swansea neighborhood. Our vision is a world where all communities have the means to nourish themselves, and our mission is to create a community-driven, neighborhood-based food system by serving as a hub for food distribution, production, education, and economic development. The GrowHaus partners with DFR to provide an educational grocery program every Monday. In this innovative community- led program, participants engage in a creative cooking class, and strengthen community ties by sharing a delicious meal together, all alongside the free distribution of healthy food. 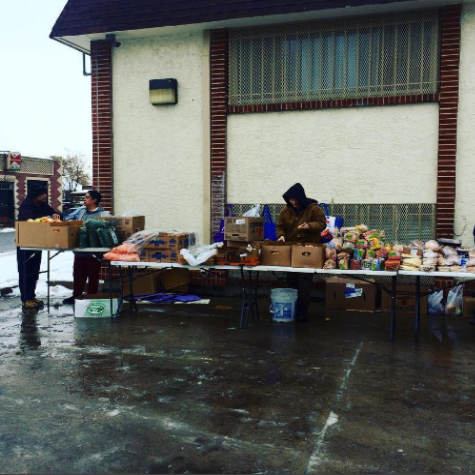 Our MOVIL (mobile) grocery program delivers these free grocery items to nearly 20 home-bound neighbors each week (usually by bike!). These programs also provide job opportunities for several residents of our neighborhood. Birdseed Collective is a small community & arts non-profit organization directed by two former long-time residents of Globeville. One of their goals is to create opportunities for positive community and artistic programs in the Globeville neighborhood and Denver more generally. With years of experience in implementing many projects and programs, Birdseed Collective and volunteers have committed to running a weekly resident-based food distribution program called “The Globeville Free Healthy Food Distribution and Preservation Program.” Through collaboration with Denver Food Rescue who redistributes the healthy food to Globeville, our Monday distribution program at the Globeville Recreation Center is going on it’s 3rd strong year.